Celebrate everyday with Sea Watch “Chowder Party” in a box. The box has two major components, 2 cans of condensed Premium New England Clam Chowder and 1 can of Gourmet Chopped Sea Clams (secret ingredients of great chef’s everywhere). These two products are used everyday in some of your favorite restaurants to make great clam chowder. Simply follow the instructions on the box and you will shock your family and friends with your clam chowder skills. 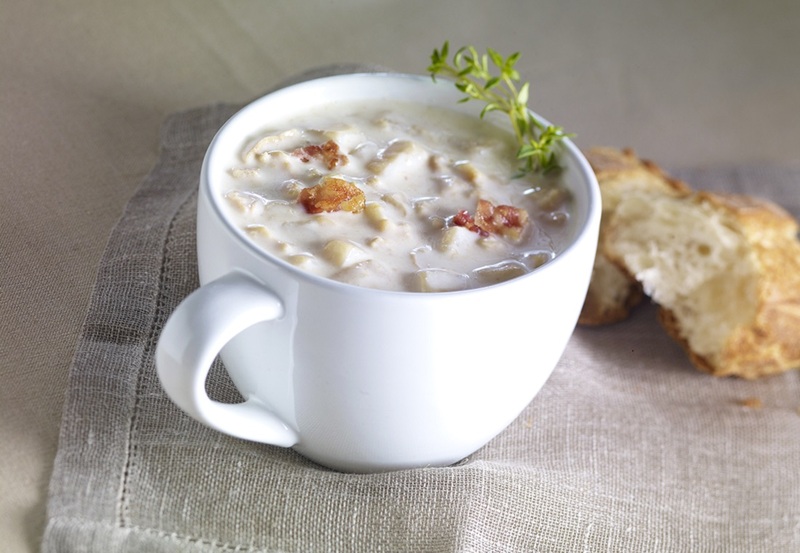 “Warning”, you will be asked to bring this clam chowder to every party or family function you ever attend. Do not be afraid to add your own special twist with your secret ingredient as suggested below. Domestic Offshore Clams have been under federal management since 1977 and is considered by many to be one of the best-managed fisheries in the world. Ingredients: Sea Clams and Sea Clam Juice, Water, Potatoes, Wheat Flour (wheat flour, niacin, iron, thiamine mononitrate, riboflavin, folic acid), Salt, Modified Food Starch, Soybean Oil, Dehydrated Onions, Xanthan Gum, Dehydrated Celery, Soluble Black Pepper, Calcium Disodium EDTA, Sodium Bisulfite, Disodium Inosinate/Guanylate. * Contains: Wheat.